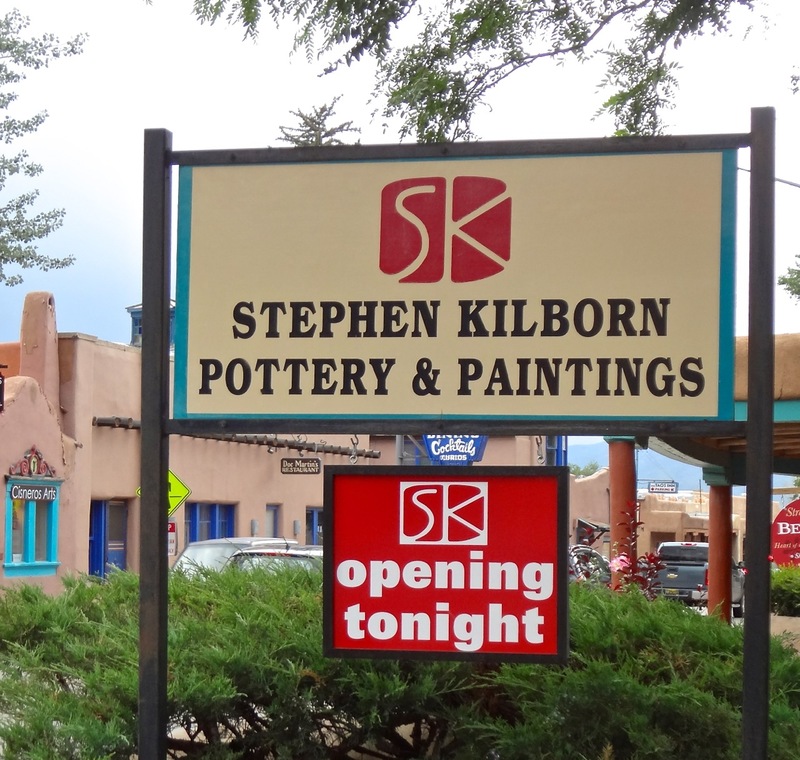 The final event of each Stephen Kilborn painting workshop is a Friday evening show opening at the Kilborn Gallery in Taos. 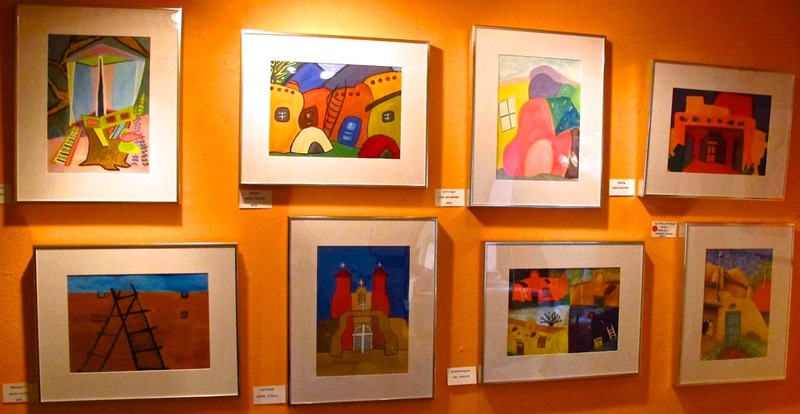 One painting from each participant is matted, framed and hung. Some of the paintings from the July 2013 workshop. 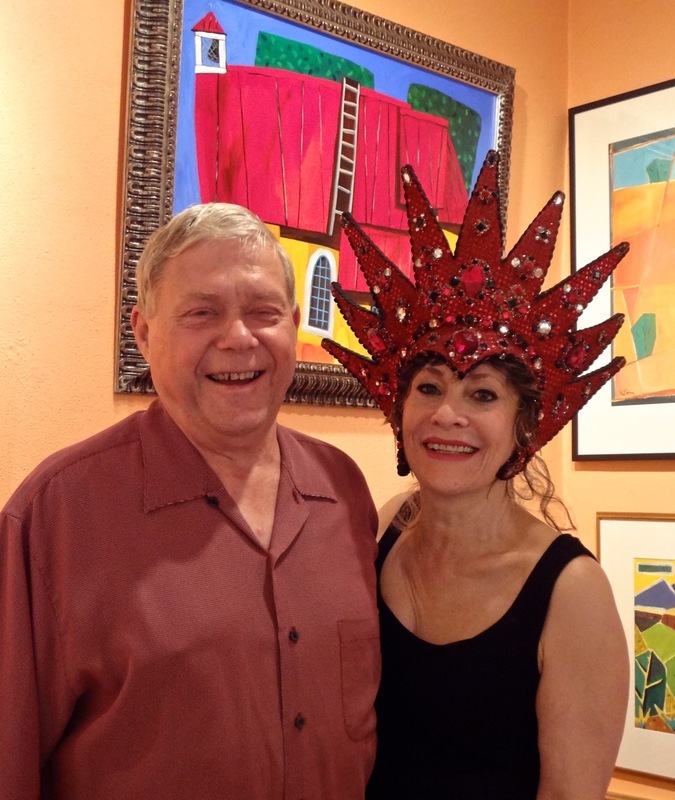 Lavern Kilborn earns star status each workshop after serving gourmet luncheons each day. Bob eagerly describes to me, in detail, the menu and preparation of the day’s dishes. Lavern happily shares recipes so that participants can enjoy a taste of Taos throughout the year. 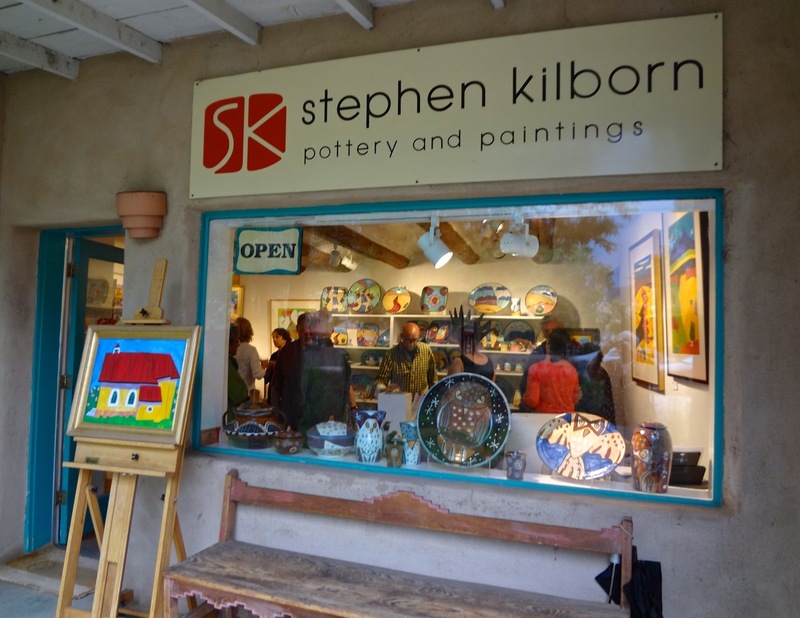 Stephen Kilborn and daughter Alice stand before some of his colorful, abstract landscape paintings. Bob had a positive week. 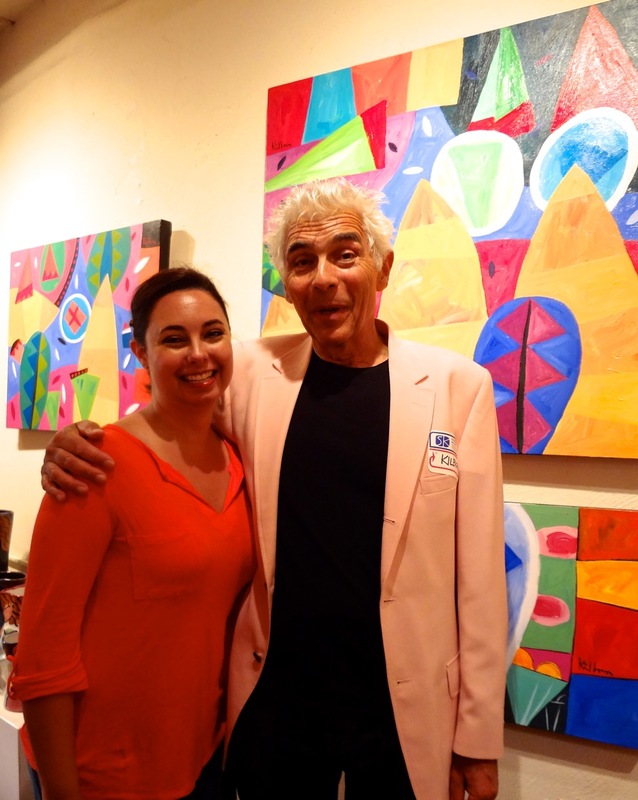 His painting, Old Phillips Studio, sold at the show. 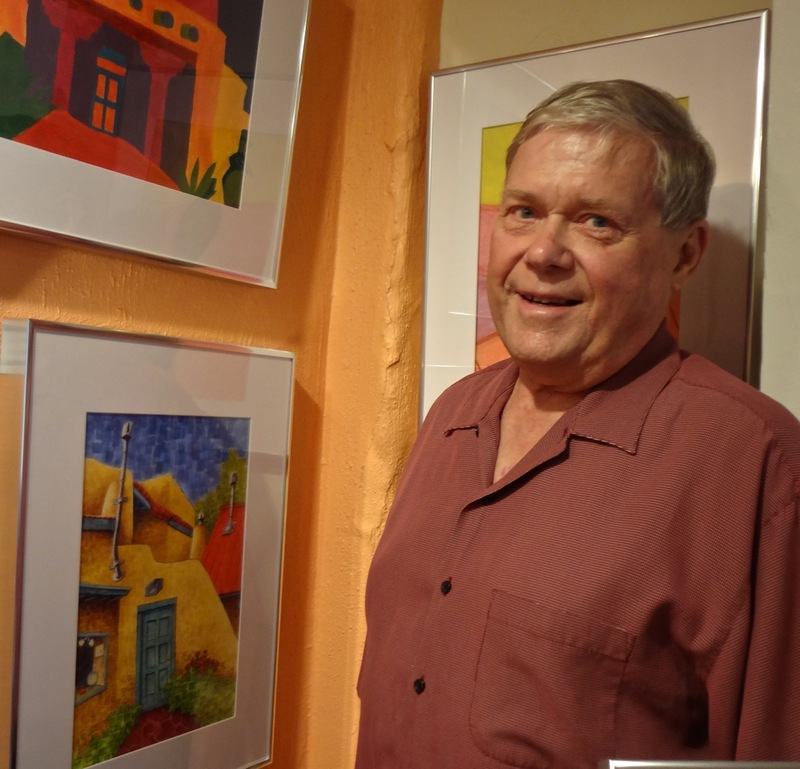 Plus he goes home with inspiration that will keep him painting for several months. This entry was posted on July 23, 2013 at 8:10 pm and is filed under Art. You can follow any responses to this entry through the RSS 2.0 feed. You can leave a response, or trackback from your own site.